Maddeningly, Celine tends not to show many of its bags on the runway. We get a little glimpse here and there of where Phoebe Philo’s brilliance is headed for the season, but mostly her fans are left waiting for spy pictures to surface to get a better idea of where our money will be headed in the coming months. 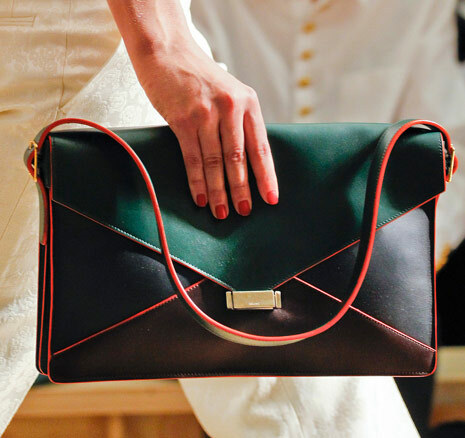 For Celine Spring 2012, though, my money might be headed straight to the runway bag that you see above.